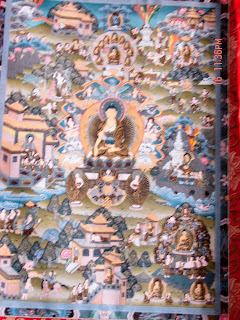 The first 2 pictures are paintings done by monks which explain the life of Buddha and the Path to Enlightenment. 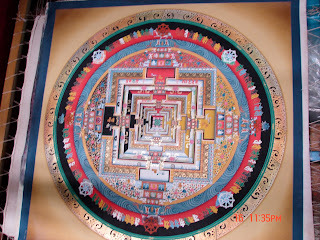 I purchased the first one and the pictures do not show the meticulous detail. 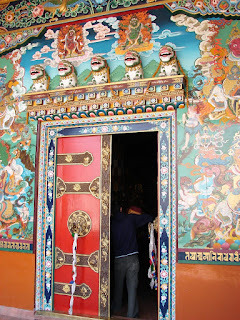 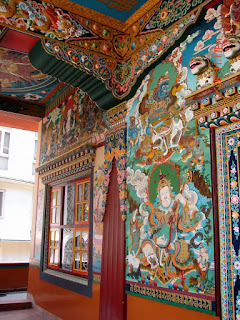 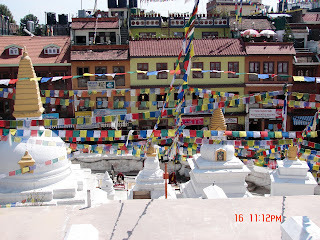 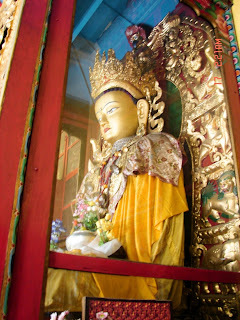 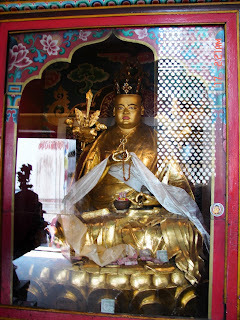 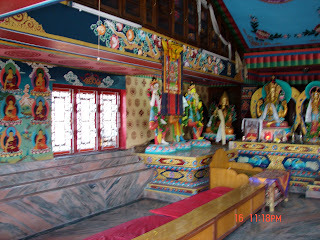 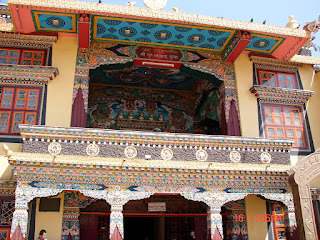 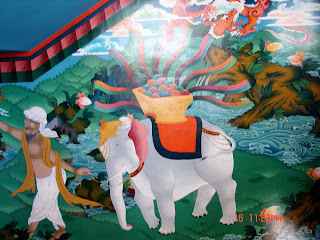 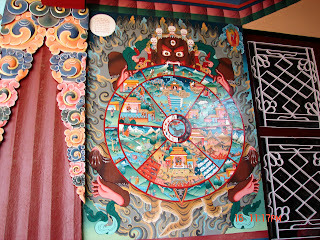 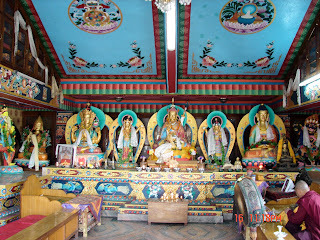 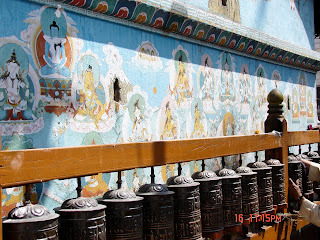 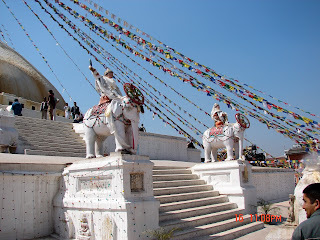 The rest of the pictures are of Buddhist Temples, Stupas and Prayer Wheels. 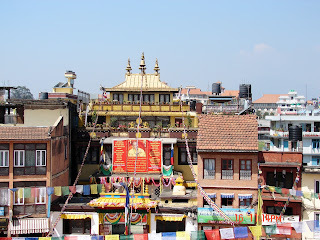 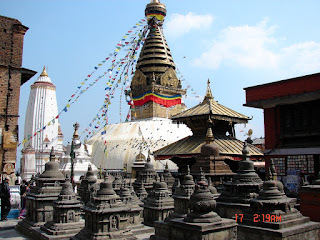 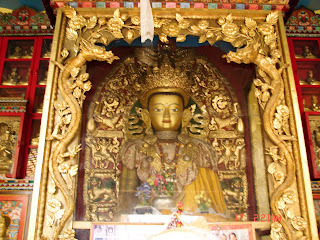 The Bodhnath Stupa is the one pictured. 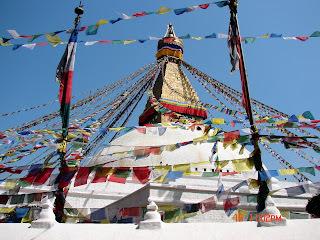 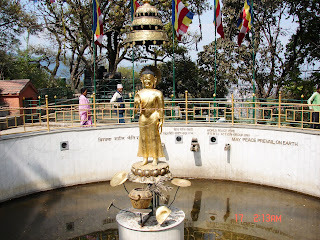 A Stupa is a sacred Buddhist shrine. 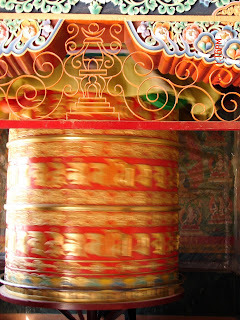 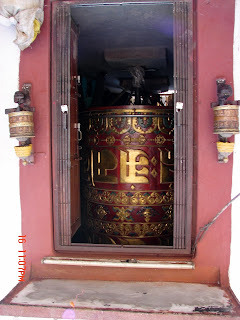 The Prayer Wheels contain a piece of scriptural writing and are activated by spinning them clockwise, which causes the prayer inside to revolve.